Do State Issued Tests Cause Unnecessary Stress for Students? Kids all across America have been taking some form of state issued test for the majority of their life. Every day kids are prepared for this test but in the end, they are still scared! When one test can determine whether or not they pass or fail it can add a lot of unwanted anxiety. The day before students are to take the test they are told to get a good night sleep and eat a good breakfast, but some kids are so nervous they can’t sleep or eat in the morning. Even if some kids who are nervous manage to eat there s a possibly they will throw up all because of a test and the worst part about this whole ordeal is that most of the time students are asked to take test after test. The way students are asked to take the tests is absolutely ridiculous! You put twenty or so kids in a silent room for four hours (keep in mind these kids are tired because they couldn’t sleep the night before.) do yo really think they aren’t going to fall asleep during the test? This causes more worry because they have no idea how much time they have left on the test and start to rush to finish this causes their performance to fail and as a result, the students score is not best represented. But of course, not all people can understand a student’s point of view so let’s switch to the teachers. Being a teacher is already unbelievably stressful. Dealing with everything from students who won’t pay attention to making sure all 180 something kids are all caught up do you really think they want to deal with a test of this importance? No! Teachers have to prepare their students for the test but also have to make sure that they themselves are prepared for the long process and they also have to deal with the anxiety of getting the results back. Although teachers don’t have to take the test they still have a lot of pressure associated with it. State issued tests add a lot of stress on both teacher and student. Not all people will agree with what has been said but I think everyone can agree that stress is not a fun thing to deal with. Even so, the question still stands, Do state issued tests cause unnecessary stress for students and teachers alike? You do the math. Congratulations to two master teachers! Mrs. Nancy Ankrom has been at Wood Middle School for the last 32 years. She graciously accepted the recognition as the 2017 Wood Middle School Campus Teacher of the Year. 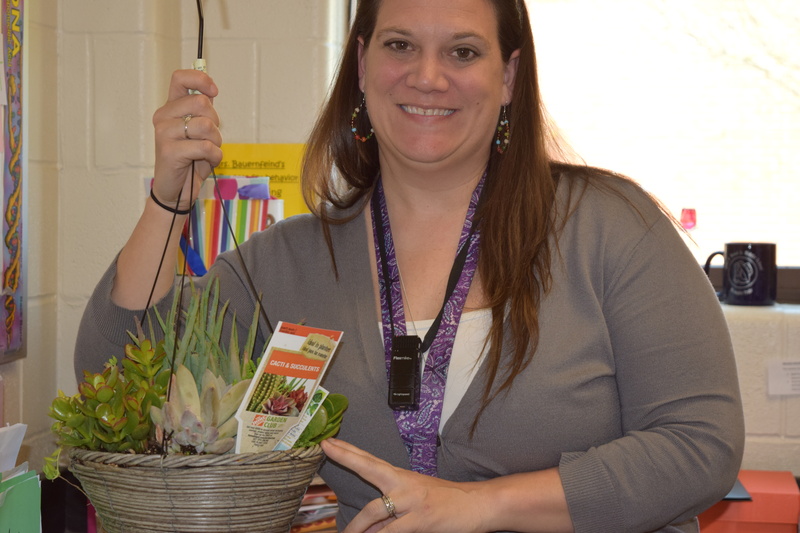 Mrs. Ankrom has gone above and beyond to help all students, staff and her beloved campus. 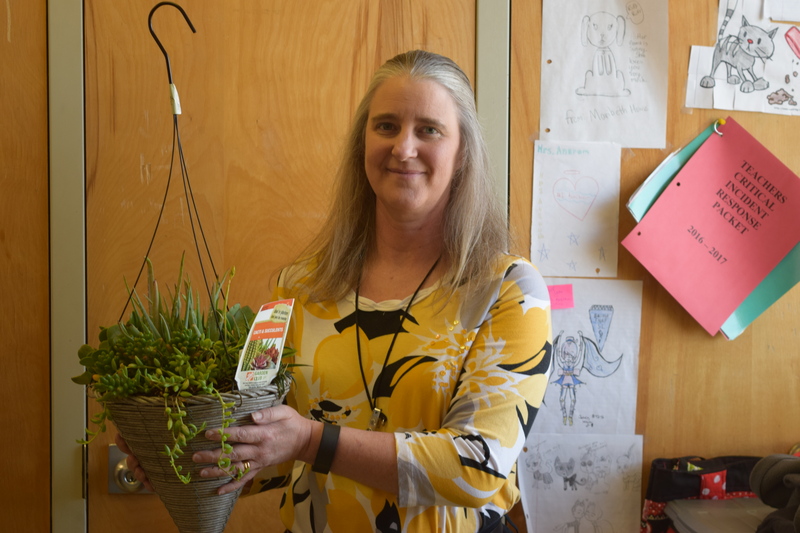 Mrs. Androm has proudly taught thousands of children, helping them to love math and even many current teachers as they came through the halls of Wood Middle School. Congratulations to both ladies, the recognition is well deserved! Everyday great things happen at Wood Middle School. Here are just a few examples of the daily student success on campus. Girls roll with their skating unit. 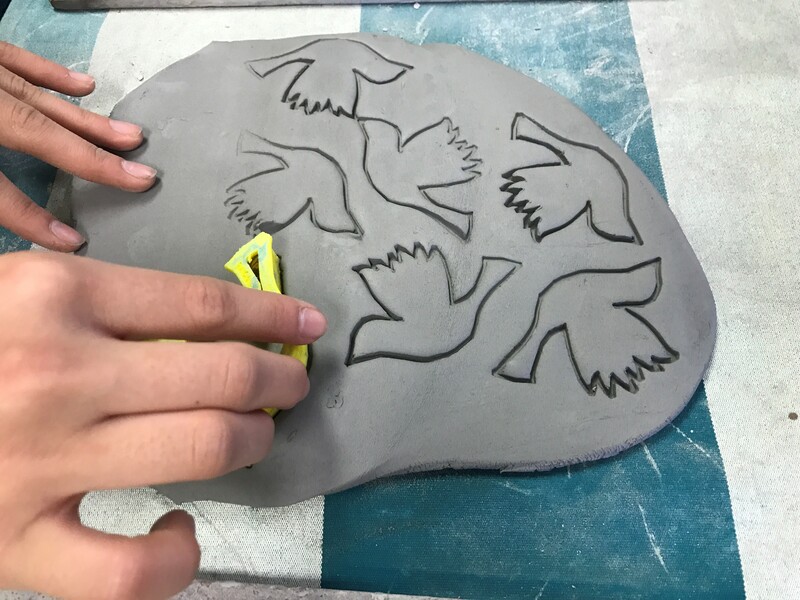 6th graders making ceramic wind chimes using their 3d printed designs as “cookie cutters” for the chimes. 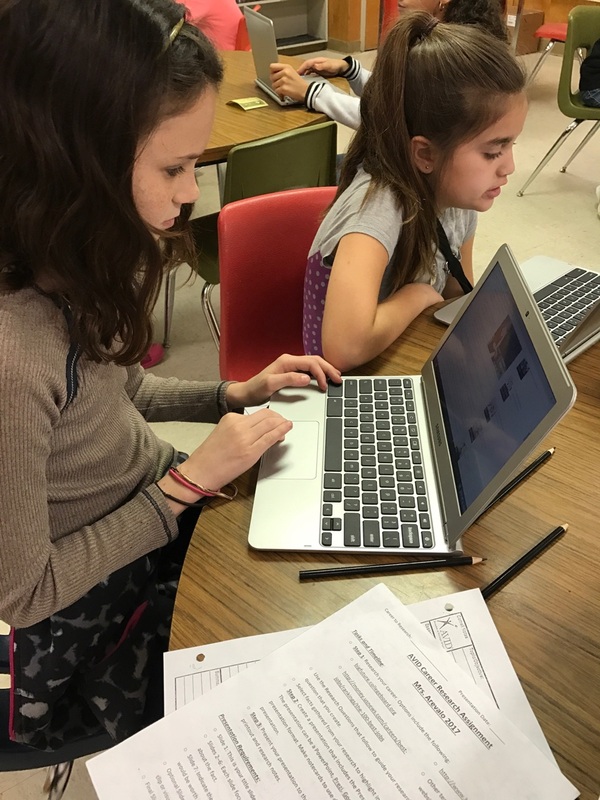 Path?” as they begin their career research project. It’s a great day to be a WRANGLER! The Wood Robotics team completed Saturday, January 21st for the first time at the First Lego League Regional Qualifier. The student showed off all their hard work on the robot game, extensive research project, and their core values of working together. 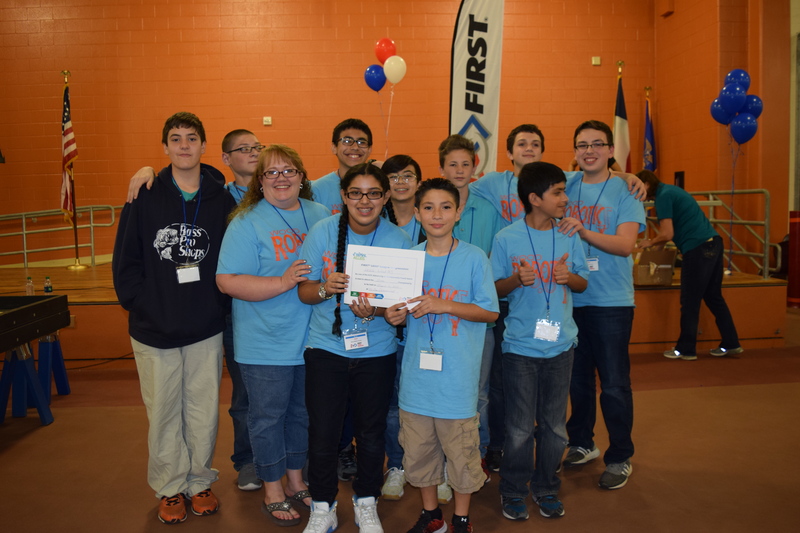 The team successfully placed in the top five and will move on to the Regional Championships held at Metzger Middle School on March 11th. Mrs. Brown the team coach and sponsor is very proud of their success and wishes them luck in the next round, but most of all she hopes they continue to have fun!